This is an exciting time for our congregation to be moving forward with hope! We rejoice that our God is a God of hope, “filling us with all joy and peace in believing…by the power of the Holy Spirit” (Romans 15:13), as we proclaim Jesus Christ as Lord and Savior. 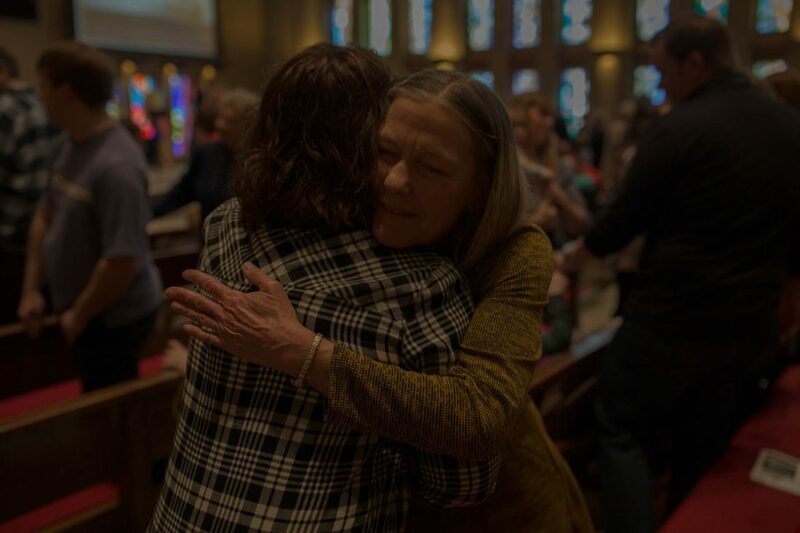 We rejoice that we are safely home in a denomination that shares our values and to which we can be accountable: ECO – A Covenant Order of Evangelical Presbyterians. We rejoice that we now own our property and can confidently proceed with its redevelopment for kingdom purposes and for future generations. Over the past two years, I have worked closely with the session, staff, and professional consultants to establish four building blocks to help us move forward with hope. These words help us name God’s unique call on our congregation. We continue to explore what it means to cross over within in our congregation among different ages and stages, different styles of worship, different ethnic groups and languages. As well, we continue to explore what it means to cross over with the many groups who use our building and with the people of our community. Also, in April 2017, we declared our Pursuits and Declarations. These are key identifying marks that shape the culture of our congregation as we seek to live faithfully before Jesus Christ. We won’t just share space. We will cross over + share life. We don’t just serve. We will cross over + befriend. We won’t just coexist. We will cross over + co-create. We won’t just say. We will cross over + do. We won’t just settle. We will cross over + imagine. Discipleship – Because God created us to know him. Presence – Because love draws near. Partnership – Because we can do more for the Kingdom together. Prayer – Because the Spirit is our compass. Imagination – Because God is always doing a new thing. In April 2018, we declared our Preferred Future, “a clear picture of what could be, fueled by the conviction that it should be” (Pastor Andy Stanley, author of Visioneering). These words, along with our Hope logo, express the destination to which we are heading. Deeper! Wider! Closer! In each of the three coming years, our staff leaders will shape our ministry around these themes. They will help us become more fully a crossover community going deeper with Jesus, wider in the Kingdom, and closer in community. In establishing these four building blocks, we have sought the Lord through patient listening, energizing discussion, and much prayer. We have felt the Lord leading us step by step. We do not want to function out of our own capacity, but rather through God’s strength at work in us. As we look to the exciting years of ministry before us, let us come before the Lord with humility. Proverbs 16:3 says it well: “Commit your work to the Lord, and your plans will be established.” Amen. May it be so.